How long after I submit my bill does an insurer have to send out payment? What are the requirements for an IME versus a Record Review? What does a PIP deductible on the Coverage Selection Page mean? Do insurers and attorneys read office notes? I filed a lien with the patient’s attorney; will I get paid from the settlement? What is the best way to work out a resolution of the bill with the attorney and patient? According to the PIP statute, an insurer must “pay or delay” within 10 days of receiving your bill. In other words, within 10 days, the insurer must either pay the bill or send notice as to why the bill will not be paid. Notwithstanding, after this initial notice, some insurer continue to delay for months, sending periodic notices as to why the bill remains unpaid. There is no definitive time within which an insurer can continue the delay in paying. Each case rests on its individual and specific facts. An insurer is permitted a “reasonable” time within which to conduct their investigation. In most cases, if the investigation lasts more than a couple of months, it’s quite possible you have claim against the insurer based on an unreasonable delay. An IME is an actual physical examination conducted by a doctor of the insurer’s choosing. The courts have held that the doctor conducting the examination does not have to have the same specialty as the patient’s treating doctor. Thus, for example, an orthopedic surgeon can conduct an IME of a client/patient that has been treating with a chiropractor. However, this is not true for a Records Review. For a valid Records Review, the reviewing practitioner must be licensed under the same specialty as those of the preparer of the records they are reviewing. In addition, the Massachusetts Appellate Division recently held that, insurers cannot cut a submitted bill without first having the bills reviewed by a like-kind practitioner. Thus, the much used practice of submitted bills for customary geographical area charges is under fire, and as of now, is in question as to validity. Please see our blog for a complete discussion of this case. The first thing it means is that, most likely, the insured has made an unwittingly poor choice. The PIP deductible is becoming more common whereas for some insurers it is the default option when you apply for automobile insurance; thus reducing the premium quoted. A PIP deductible is the equivalent of the patient paying for their own medical treatment and bills out of pocket. Remember, PIP is meant to pay for reasonable and necessary medical treatment causally related to an automobile injury (see our PIP section for a more complete discussion), as well as lost wages and other items. Instead of the insurer paying these items, with a PIP deductible the patient has switch the burden of payment to themselves. Thus, the patient is responsible for the amount up to the deductible. If the patient has private health insurance, then they are responsible for at least the first $2,000.00 of expenses. Their private health insurance will not start paying until $2,000.00 has first been paid. After $2,000.00, private health insurance will pay as long as the service is covered under your health insurance plan, i.e., you are treating with a chiropractor and have chiropractic benefits available under your health insurance plan. Medical Payments is an optional insurance selection for automobile insurance policies. Medical payments will pay for medical bills once the amount available under PIP (usually $8,000.00) is exhausted. Medical Payments can also be applied to lien amounts that health insurance companies place on your third party claim. In other words, if there is a claim against the party at-fault in the accident, that is known as a third party claim. All health insurers in Massachusetts have a provision in their insurance contracts that require their insured to pay back all amounts paid by the health insurer if the insured recovers money under a third party claim. Medical Payments will make that payment to the health insurer instead of the money coming out of your settlement. Yes! Legible office notes are extremely important. Attorneys read office notes to assess whether their client has complied with the treatment plan, when symptoms got better, what their client’s daily activities were like and what symptoms interfered most with those activities, and what their client complained of and why. Insurance adjusters read office notes looking for similar facts. Of course, the insurance company and the representing attorney will use these facts in opposite ways—each supporting their side of the claim. We also pay particular attention to initial intake summaries (mechanism of injury, past medical history, etc. ), and discharge evaluations (residual complaints, and permanency, for example). I filed a lien with the patient’s attorney, will I get paid from the settlement? The most likely answer is, no. When you file a lien for services rendered with the patient’s bodily injury attorney, the attorney notes the lien and places it in the respective file. The lien is valid against the patient, assuming the patient signed it. The lien is not valid as to the attorney, unless the attorney signs the lien and returns it to you. Short of that, you have simply filed the lien with the attorney. Your lien cannot encumber the attorney/client relationship. Thus, when settling the patient’s/clients’ case, the attorney can ask the client how they want to pay the lien. In other words, the attorney can pay the lien holder directly, or give the money to the client for the client to settle the lien themselves. As you most likely guessed, the vast majority of clients elect to receive all the monies directly. The attorney cannot force the client to do otherwise. [ back to top ] What is the best way to work out a resolution of the bill with the attorney and patient? Communication. Communicate with your patient about how the bill works and also with the attorney about what you expect. If you can be reasonable regarding the net balance, both the patient and the attorney will be more likely to resolve the bill quickly and amiably. While PIP may pay 100% of your bill, an insurance company or Medicare would not. 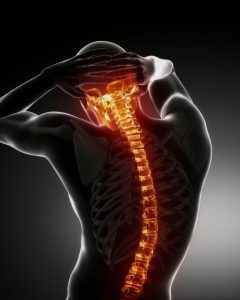 Attorneys will look to what an insurance company had or would pay, as a fair way to compensate a chiropractor. Don’t charge for medical records and bills. Attorneys are used to paying for hospital records and orthopedic records, but they are not used to getting paying for chiropractic records. Be fair. Finally, keep the lines of communication open. Having a pit bull like administrator send out letters and make threatening phone calls wont work against a law firm that is used to working with insurance companies who often use the same strategies. Being reasonable and keeping the attorney’s office advised of the treatment, the discharge, and the bill, will ensure the best way to get the final bill resolved. 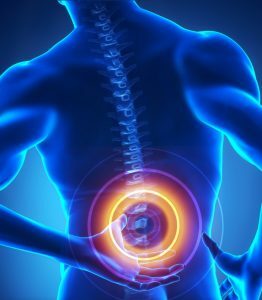 The Attorneys at Burns & Jain has worked with chiropractors and medical personal throughout their careers. For information or questions, contact us at 617-227-7423 or click here to send us an email with your questions.